They may share a name and home country with one of Nordic TV’s darkest detective dramas, but you won’t find any dismembered bodies or nihilistic feelings on Broen’s I <3 Art, released through Bella Union on 20th October. Bursting with experi-pop exuberance and driven by a spirit of warm commonality, the five-piece’s debut album exults in the pleasures of intelligent music; its deep rhythms, dreamy melodies and dazzling sounds building bridges between bustles of jazzy percussion, psychedelic flourishes, funk grooves, mellifluous electronics and hip-hop beats. And if Norwegian-noir clichés and all other generic conventions are playfully bucked on its brightly exploratory way, such is Broen’s mission. These aims are vibrantly fulfilled on I <3 Art, which opens with the sound of water running, climaxes with a song called ‘Water Is My Mirror’, and lets its heart and art flow freely in between. Among brushed drums and electro-jazz reverberations, the playfully treated vocals of ‘Waters Changing’ extend a hypnotic, sing-song invitation to Broen’s world. ‘Time’ showcases the band’s smart-pop instincts, its funk groove, luminous synths, reflective vocals and buoyant melody resembling an alt-universe summit meeting between Trevor Horn and Tim Gane. ‘Black Line’, meanwhile, reflects the scattered mindset of the touring band in its improvised melees of tuba, synth and insistent guitar. Broen’s core blend of free-form experiment and seductive pop blossoms on ‘<3’, where sumptuous washes of synth chords and glints of funk guitar support vocalist Marianna Røe’s warmly goading inner dialogue: instead of dwelling on anxieties, she advises herself, why not embrace freedom? “Can you dispose of the weight on your chest?” she asks. Broen do just that as the album proceeds, veering from the scratchy jazz-funk of ‘You (Detective)’ to the squelch-hop swagger, ebullient synths and eco-conscious meditations of ‘Serenade’ with breezy ease. ‘Pride’ showcases the band’s lyrical smarts with a reflection on prejudice layered over galloping beats and synth crescendos, before ‘Water Is My Mirror’ closes the album on a note of serenity. “I dove down into a world of seaweed growing wild,” coos Røe, marvelling at the wonders she finds there. Broen’s journey of discovery began in 2012, when they played their first gig at an album-release party for another band. The show featured just three songs but they started as they meant to go on, with hearts and minds open: the first track was built up from sketches, the second was improvised in the final rehearsal and the third was a cover of the Beastie Boys’ ‘Gratitude’, played in tribute to the late Adam Yauch. Numbering Røe on vocals, Lauvdal on synths, Heida Mobeck on tuba, Hans Hulbækmo on drums and Lars Ove Stene Fossheim on guitar, the band-members hail from diverse backgrounds. At varying times, each studied jazz at Norway’s Sund Folkehøgskole (“A sort of boarding school for one year,” they explain). Hans, Lars Ove and Anja also all attended the jazz conservatory in Trondheim; Heida studied music technology in Trondheim; and Røe studied sound arts and design at the LCC in London. Despite and because of this diversity, clear and fertile ways of thinking united them. “We all had the need for a new music that was freer and inviting to all different kind of influences,” explains Lars Ove. “The music really emerges from the different backgrounds we all have, but with the same desire to create something that is free from boundaries of what any kind of music ‘has to be’ or contain. 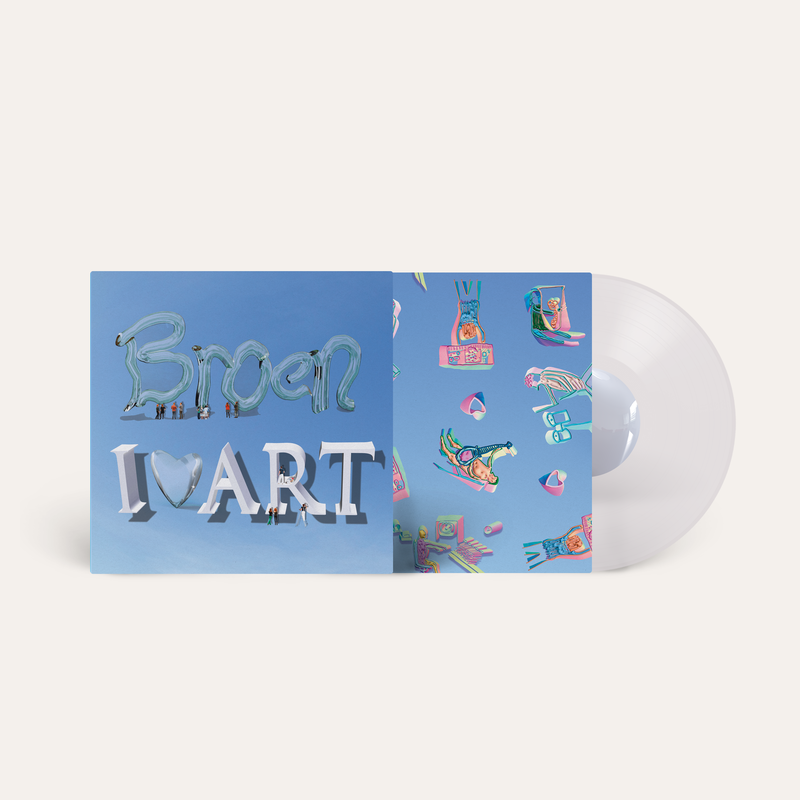 Recorded in Oslo’s Studio Paradiso, engineered by Jaga Jazzist’s Marcus Forsgren, and mixed by the band with Nick Terry, I <3 Art bursts with invigorating life. As Hans puts it, “It’s both soft and hard. Beautiful and ugly or corny. Adventurous and experimental but still groovy. It’s honest and ironic. It has a lot of good energy. It was recorded live in the studio and it was a very joyful and positive experience. I think that shines through in the music, at least for us.” And, we’d wager, it will for listeners too. 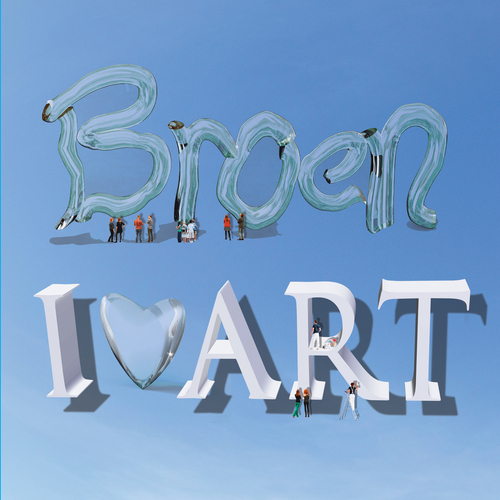 Unfortunately at this time we can't offer all the Broen - I <3 Art tracks as individual wavs, as some of these tracks exceed the shops maximum (9mins) download length.